Fred Burdy started learning 3D on his own while studying Arts and Cinema in France (he has a Masters in Arts and a Licence in Cinema). He started doing his own short films and experimental projects, winning a couple of awards. He also did free work on several short films as 3D artist (Symhio, Spirale) or compositing artist (Peter). After working for several years as a 3D freelancer in Europe, he settled with his family in Ireland in 2011 to work with Windmill Lane Pictures as a senior 3D artist. There, he worked on several ads, TV and cinema films (The Moth Diaries, Lockout) and wrote and directed for Tríd An Stoirm. Sean McGrath originally came from a sales and project management background, working for a large multinational company. After deciding upon a change of career, he began working as a VFX producer for Windmill Lane Pictures. He has worked on many projects in this capacity, as well as bearing responsibilities for their general post production also. Notable projects worked on include “Lockout”, “The Moth Diaries” and “Callgirl” amongst others. Trid an Stoirm is a short animated film that was financed by the Irish Film Board, and completed by Windmill Lane Pictures. They will discuss everything from the initial inception of the film, to its eventual delivery to the general public. They will cover artistic and technical challenges faced during the project, as well as the overall organisation of the production itself. Kimon Matara is an illustrator, animator and coder. He holds an BA(Hons) in Illustration from the University of Westminster and an MA in Computer Animation from NCCA Bournemouth. He was closely associated with Th1ng Animation in Soho for several years, working as lead CG artist on countless internationally-airing commercials. His duties variously included 3D modelling, character rigging, pipeline automation, animation, texturing, lighting, as well as illustration and compositing. His interest in coding and 3D character mechanics eventually took him to Framestore UK, where he built the entire Maya-based character rigging pipeline in use at the commercials department today. Highlights of his work with the company include ‘Harry Potter and the Deathly Hallows Part I’, and the 2011 award-winning ‘Coca-Cola Superbowl Ad’. He has a fixation with cats and electric guitars. Twelve years of industry experience condensed into 50 mins! This talk will give artists, directors, producers and other inquiring minds a tantalising glimpse into the strange and wonderful ecosystem of the commercials-oriented 3D character animation studio. Exotic creatures such as modellers, riggers, animators, lighters and others will be dissected; production fundaments will be introduced, touching upon the nature of the client-studio relationship and the importance of previsualisation; and organisational strategies will be discussed, debunking buzzwords such as production parallelism, asset management and automation. Attendees will leave with insights based on real-world best-practices. Please keep notes for a brief Q&A. Bernie Roux was born and raised in South Africa and has 23 years of experience in the film industry, the past 17 being in animation. He is currently represented by disco.com, bentimagelab.com & eallin.com for commercial work. He has done work for the US, UK, Australia, New Zealand, Kenya, Tanzania, Nigeria, Ruwanda, India, Singapore, Hong Kong, Russia, Turkey and South Africa . His work has won awards ranging from the ‘Silver Lion’ at the Cannes Film Festival (France) , the AWARD award (AUS), D&AD, a platinum Pixie award to numerous NTVA’s, Avanti’s, Vuka’s and Loerie awards in South Africa. His background is deeply rooted in the traditional principles of film, animation, illustration, in ‘generating unique, creative solutions that best suit time, budget and deadline constraints’. His strength lies in being able to work, animate and tell stories in various mediums and combinations of mediums. In addition to doing commercial work, he has taught as a lecturer on traditional animation principles, at graduate and under graduate level at two of South Africa’s leading universities. This talk will deal with finding strong, creative solutions to best deal with the time and budget parameters of each project. Yianna Americanou was born and raised in Cyprus. At the age of 19 she left for her BA Degree in Experimental Filmmaking in the United States. After her studies were concluded, she worked as a Production Manager and a Director in Cyprus. At the same time she continued writing for film and her short films entered various Experimental and Fiction Short Film Festivals. In 2000 she concluded her MA Degree in Film and Television Production, at Bristol University, UK on a Chevening Scholarship. She has worked for BBC Bristol as a Researcher and Production Assistant. She has also worked for BBC Drama as a Script Editor on the TV Series ‘ Casualty’ and ‘Doctors’, while at the same time she worked as a Picture Editor and continued writing for film. Her short films have entered numerous International Film Festivals such as the Rotterdam International Film Festival, Hamburg Short Film Festival, Oberhausen International Film Festival, Drama International Film Festival, Sao Paolo International Film Festival, Mediterranean Short Film Festival of Tangier and many more. Her films have won international recognition and awards. 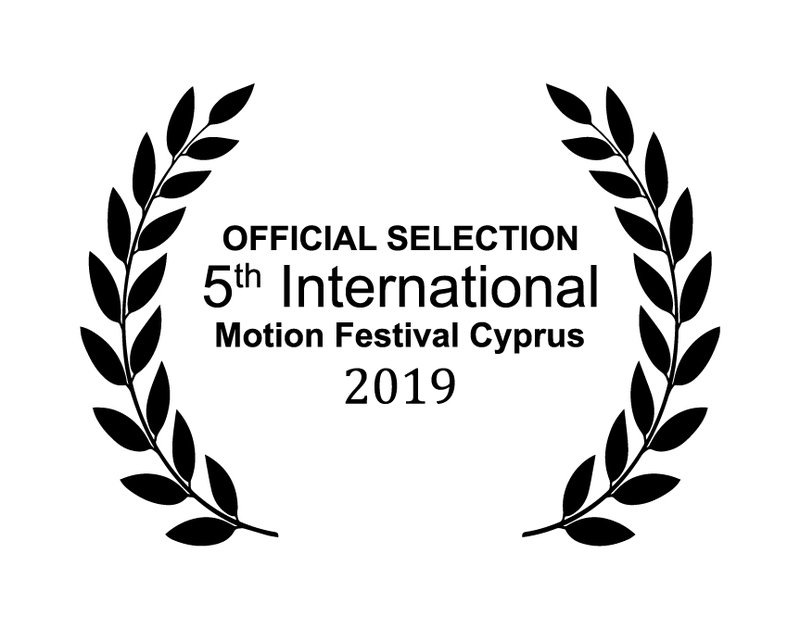 Animation is one of the most underdeveloped storytelling forms in Cyprus. However, this talk will emphasise the possibilities offered through the MEDIA Programme and how it supports this unique artistic form. Anthimos Xenos is an Art Director and a Motion Graphic Designer. He holds a BFA (hons) in Graphic Design from Briarcliffe College at NY. He also studied CG Animation at Pratt Institute, NY. He lives in Athens and works for Television Channels, for the last 4 years. His responsibilities include, designing visual solutions for TV platform identity and promotions. His works have won various broadcast design awards, and have been featured in international festivals, design magazines and in broadcast design associations. From concept development to final production. How a “solo” project, in a very demanding in-house TV environment, can have a successful result and climb up to a level that is internationally accepted. The breakdown will analyse the workflow and provide feedback on its technical and creative aspects. Main challenges and solutions will be expanded on. Renos Demetriou initially studied Fine Arts and then continued with Design and Advertising. He undertook a postgraduate course specialising in Broadcast, New Media design and production. He gained his first experience in the United States working on brands like Coca-Cola, CNN Headline News, SEGA and many others. Moving back to Europe, Renos was working as a freelance designer and art director in Greece, Serbia and the UK. Upon his return to Cyprus he started his own company Daedalus Creative Services and in 2007 he founded the Cyprus Creative Club as part of the Art Directors Club of Europe. Today Renos specialises in brand engineering and public image creation. The Cyprus Creative Club will be presenting the 2012 ADC*E (Art Directors Club of Europe) Best Adverting and Design Awards – Commercials and Motion Graphics Show Case. The Pygmalion 2013 Awards will also be announced. There is a limited amount of seats, especially for masterclasses. Make sure you reserve yours. Learn more about the European University Cyprus. The official IMF laurels are here. The IMF was awarded with the EFFE Award 2019-2020. 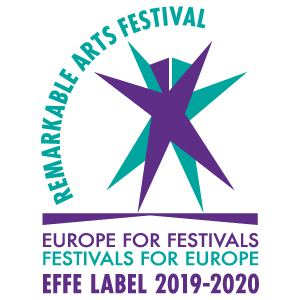 This is the third time the festival is awarded the EFFE award. We encourage committed filmmakers to submit via FilmFestivalLife. With monthly subscriptions and pro accounts FilmFestivalLife is the smartest way to save money with a strategic approach. Join the platform where award-winning filmmakers and quality festivals meet.